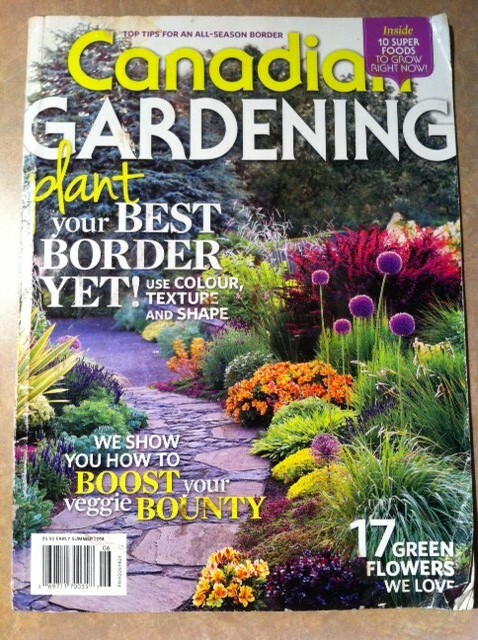 February 2016 - Proper Landscaping Inc. The February 2016 Alive magazine (alive.com) has an interesting story on reading, “A good read” by Vanessa Annand. The article mentions research which credits reading with making us better people: more empathetic, less stressed and even healthier. Fiction scored better than non-fiction but this is a green blog so let’s take a chance. I am about to share my recent green reads. And they were a blast to read. I would disagree with the conclusion that non-fiction is for loners. Find your own favorite books and share the titles in the comments below. If you drink coffee and eat breakfast you already have an intimate knowledge of seeds. What I find fascinating is that seeds contain everything they need inside and some can survive dormant for hundreds of years! Then somehow conditions become just right and a new plant emerges. Some seed coats are extremely tough to crack; some seeds open up from forest fire smoke, not the fire itself. This book is fascinating. This is a true story about a rare orchid and an international scandal that erupted around it. Personally, I think orchids are OK. They are interesting and play a huge role in the plant kingdom. I am not in love with them. I love epiphytes, those plants that live up high in the trees, not rooted in the earth. And I love good stories. One scandal over a rare orchid species crushes people financially, personally and some even end up in jail. It’s unbelievable. And well worth reading. We know about Darwin’s work on the theory of evolution but what about his life? Until now I knew very little about the man and his life. This book fills you in on the interesting details of his life. His other book on the Voyage of the Beagle is more exciting; full of adventure. I am satisfied that I now know some details about Darwin’s life. Another recommended title. 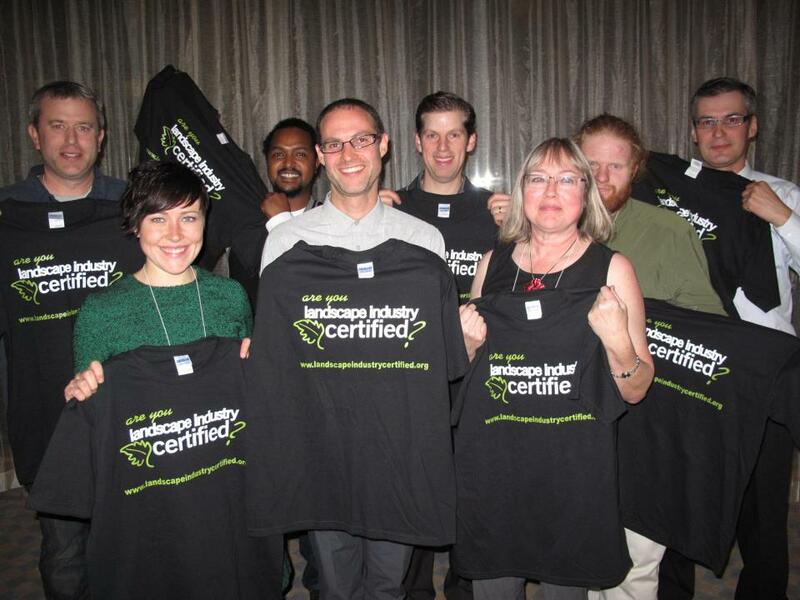 Landscape Industry Certified testing has been in place in Canada since 1995. It was designed as a way to set minimum standards of skill and knowledge within the landscape industry. The CNLA News Brief (summer 2015, volume 24, issue 3) lists the top 5 mistakes made by candidates. Having gone through the testing and getting certified in the fall of 2011, I found the list interesting and correct. I took the liberty of adding my own observations. Safety is extremely important so use whatever is provided for you on the table. This one slip can cost you valuable points and be the difference between pass and fail scores. Sadly, I found this out the hard way. 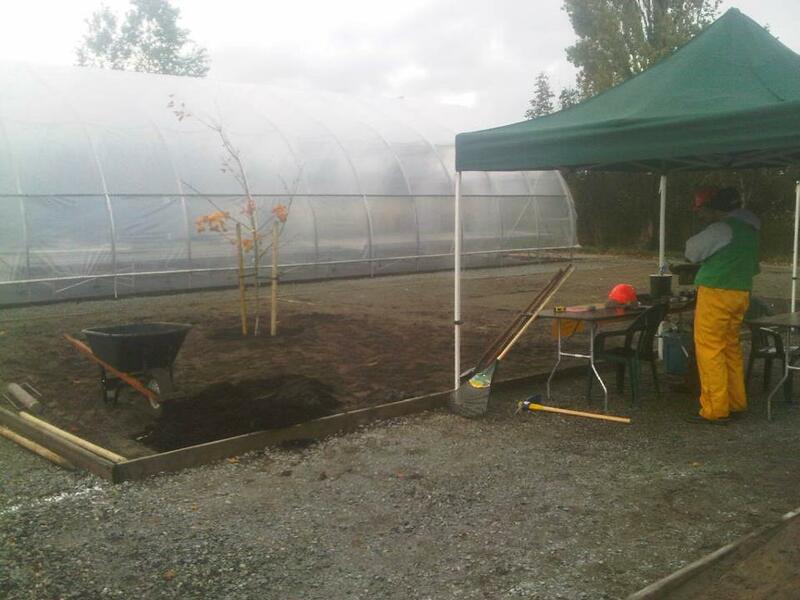 Half-way through the Planting and Staking station, candidates are required to stake their tree with a stake pounder. Ear protection is required for this step. I was so caught up in the station I totally forgot about my head set. The deducted points gave me a fail mark and meant that I would have to wait until fall for my third attempt. Not really trusting myself, I wore my headset for the entire thirty minute test! Success, finally on my third attempt. Remember, this station is testing your ability to follow specifications, not just tree planting and staking. Study the diagram carefully. Bonus hint: put your tool away safely before grabbing another one. Leaving a shovel on the ground is considered a hazard. One word: action! Take your instructions from the judge and then wow him or her. This is a practical test so just do it. I personally didn’t have this problem. The exam is based on what you do every day. Write with confidence. It does require some preparation. They don’t give it away easily. I didn’t have any problems on the written exams. I wrote them on Friday afternoon, did a few practical stations and then faced a full day of testing on Saturday. Again, I didn’t have any problems here. I was all ears and focused. One minor distraction might be former co-workers from other companies. The testing stations are timed and roll on quickly. There is no room for mistakes. Hint: don’t watch other candidates, they might be doing it wrong. Walk in there and kill it your way. Who enjoys tests? I openly admit to feeling very small in the candidate tent. I ate donuts to comfort myself and then a certain prominent judge walked in and finished the rest. Allegedly, the judges want you to pass but that wasn’t really obvious. My judges had shades on and responded to my questions with finger movements. Having former managers and supervisors stand only meters away watching was extremely distracting. Luckily, I am stubborn and able to focus. Do the same. The stations are yours to pass. You can do it! Getting certified shows your clients and bosses that you are serious. It should lead to raises and opportunities for growth in your green career. Your boss should be able to pay the testing fees. Ask nicely. For more information visit www.cnla-acpp.ca/certification or contact certification@cnla-acpp.ca. You can also message me if you have questions. Also visit the National Association of Landscape Professionals (NALP) www.landscapeprofessionals.org Sign up now, don’t wait until you feel ready. BCLNA awards dinner, cleaned-up Vas on far right, Yay!! Study the dead tree pictured below. What’s wrong here? The 4th edition of Arboriculture defines compaction as the breakdown of soil aggregates. Compaction decreases total pore space in the soil. When large pore spaces are compressed, the resistance to root penetration increases. Basically, with compaction the tree struggles to obtain water and oxygen, roots can not grow as easily and since water can’t penetrate it runs off, causing erosion on the surface. The top 4 inches of soil are usually the most affected; the greatest compaction occurs about 0.75 inches below surface. 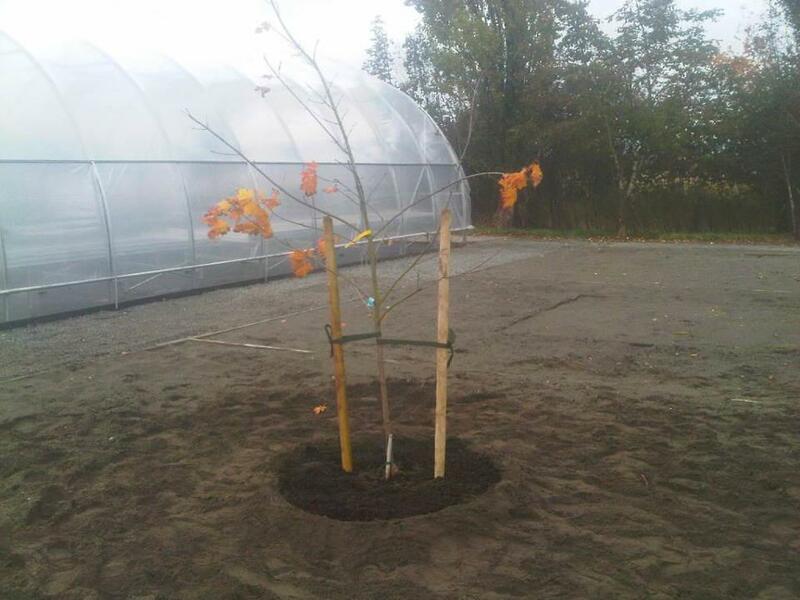 At the September 2015 Can-West Horticulture Show in Abbotsford, Dr. Kim Coder relayed to us a story about a group of green activists who campaigned to save an ancient tree. They assembled at the base and did what they had to do, never noticing the serious compaction they were responsible for over the root zone. If I recall the story correctly, the tree declined and eventually died. Think about soil compaction and avoid it! It’s hard work rehabilitating compacted soils. For best results create a nice tree well and mulch it with arbor chips. Many tree companies are happy to donate their wood chips. Problem solved. While blowing a strata site on a recent sunny December afternoon, I almost tripped on a huge cone. Intrigued, I smuggled it home past my wife in a lunch bag. 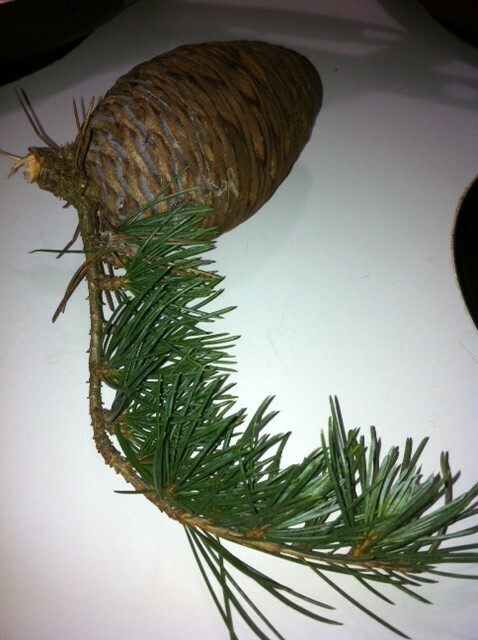 Using my trusted Sibley guide to trees by David Allen Sibley and Google, I found out it was a female Cedrus deodara cone. Deodar cedar is a Himalayas native. According to the Arbor Day Foundation website, www.arborday.org, this tree was born to be a landscape specimen. It has elegant pendulous branches, attractive coloring, pleasing shape and interesting branching patterns. 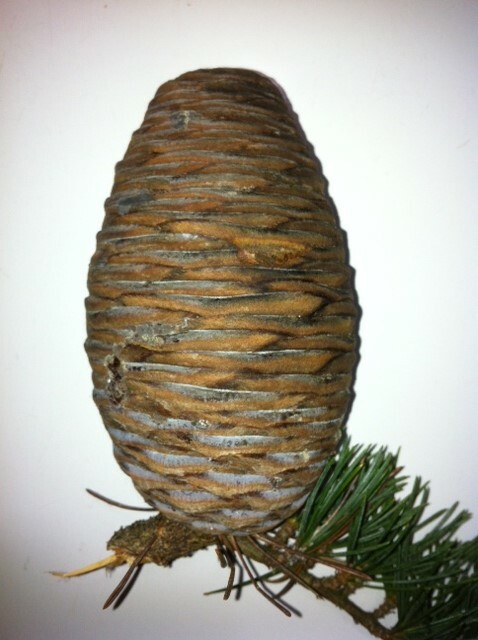 Tree guru Michael Dirr calls the deodar cedar “the most graceful cedar”. It tolerates drought but it’s not really suited for cold zones. The needles are bluish-green or silvery with sharp tips usually borne in clusters, smaller toward twig tips. The needles are shed in spring as new growth appears. The cones are upright like in firs (Abies) but stouter and they disintegrate over winter, leaving an upright central spike. As the 2016 season approaches, I try to finish my dusty magazines from last year. Below are the key periodicals I read. Because my budget is limited, I subscribe to some and buy interesting issues from the others. What do YOU read? This comes bi-monthly and is included with your ISA membership. 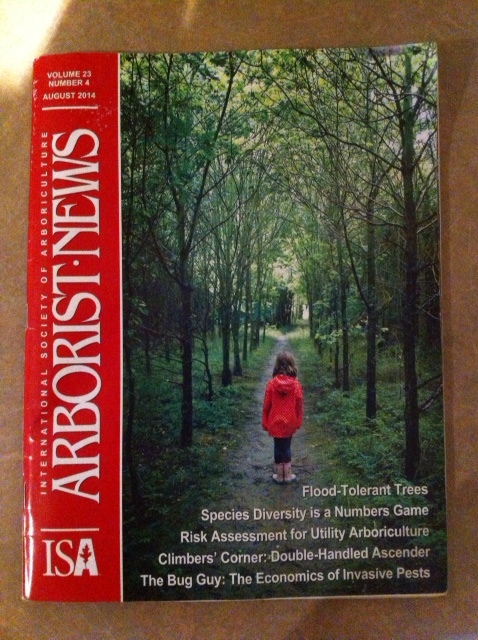 It’s the main magazine for arborists. Includes quizzes, scientific tree articles and book reviews. Warning: ISA also publishes a book catalogue full of great but pricey books. I never seem to have the budget for everything on my wish list. Good coverage of Canada. The best part of Gardenwise is the chores page that outlines what to do in your garden for a particular month. Garden Making is the newest and prettiest of the three. It has nice how to articles and lots of plants. Great photos but this magazines can seriously add to your food bill as you throw it into your food cart. Covers all of USA so my interest is in the Pacific Northwest. I enjoy the how to articles on pruning. Plenty of botanical names. 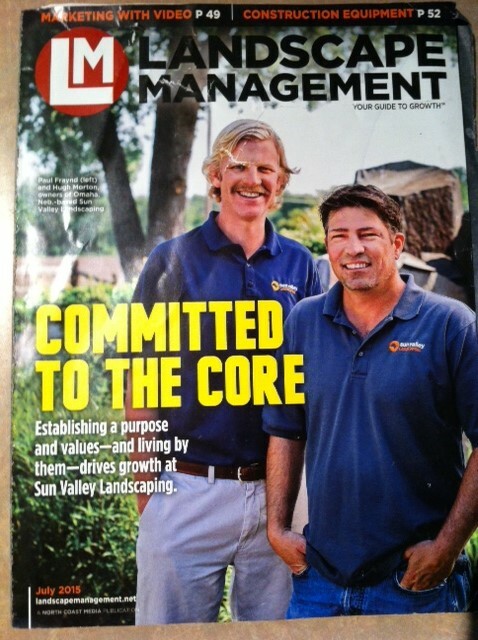 A magazine for landscape company owners and managers. The most interesting issue is the one with top annual revenues. The numbers will blow you away. 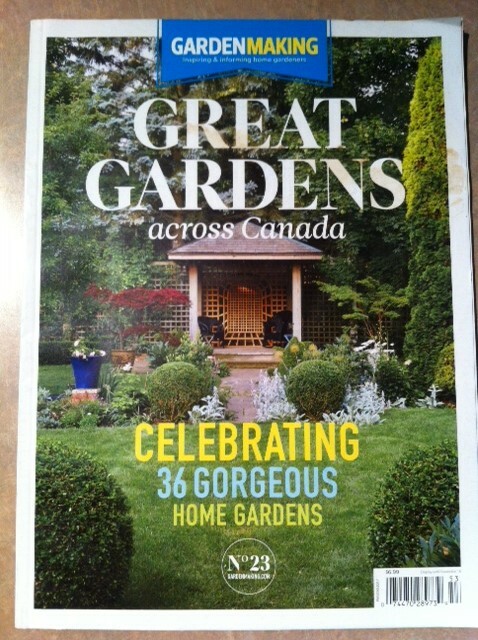 You can get it for free if you own a landscape company in Canada. 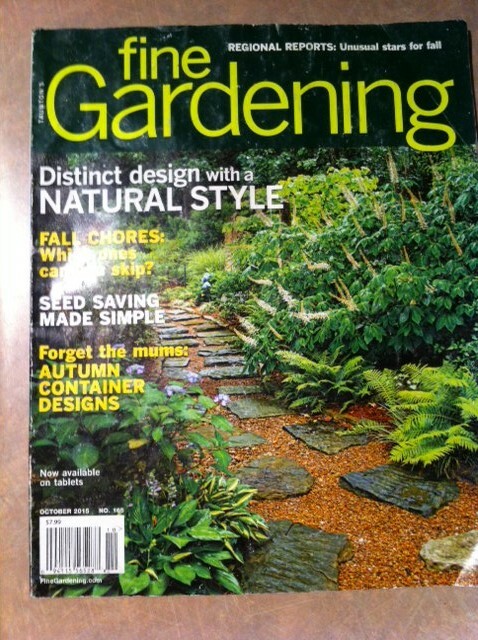 You can also check out the online version at www.landscapemanagement.net. Every issue comes with bonus audio CD. I listen to it on the way to my sites. 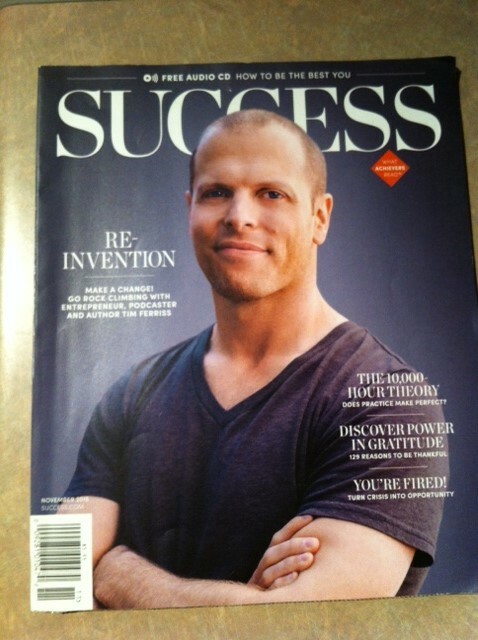 Articles cover important topics related to business and personal success. I am also a fan of publisher Darren Hardy. His book “Entrepreneur Rollercoaster” is a must read. Darren also has a daily blog you can subscribe to. Available at local stores. One day in the field this past summer, I was forced to attend to another task ( backpack blow) which meant that my under-performing, trained worker had to be on his own. Fortunately, his bedwork was in a defined circular bed, he had clear time parameters, his progress was measurable in green waste generation and quality (weed-free bed), and, big bonus, cell reception was extremely poor (his lonely out of town girlfriend had to wait). Then it hit me and a blog was born. This was a perfect effective supervision case study. For best results in landscape maintenance, the crew foreman should always attempt to keep his workers together. Tasks and tools can change hands but the crew sticks together. Splitting up can result in loss of control for the foreman in charge. We need results. But what if you can’t be there? The boss shows up or strata president comes in with a pressing landscape emergency. Now what? Keep the following five points in mind. The work should be in a defined location, for example units 1-10, front entrance, or a circular bed. This keeps it simple for the workers and for the foreman. Spell out your expectations. The workers should be given clear time parameters. In this case we had roughly 90 minutes which was generous for one circular bed planted with native species. Check all work when you return and give constructive feedback. Stick together as you continue with your maintenance work. Feedback is also critical. Now go deliver Proper results for your clients! This blog is a treat. 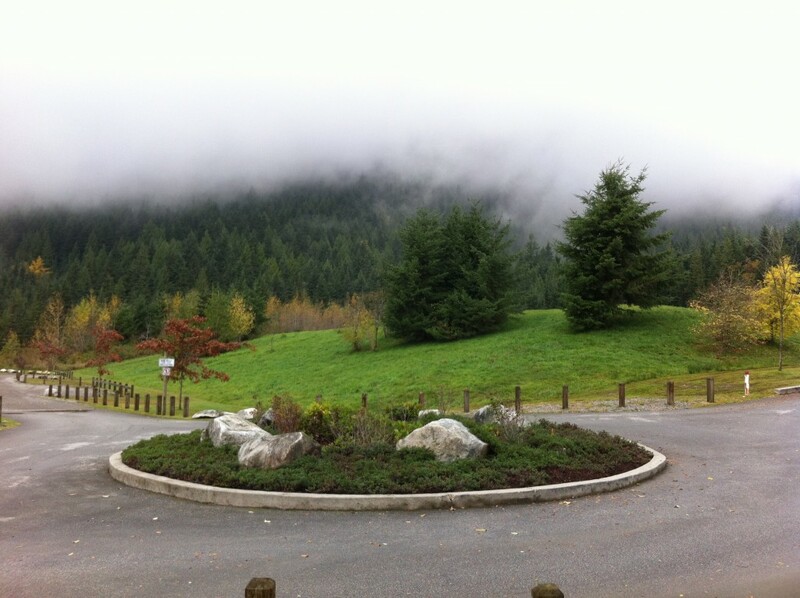 I am still upset about narrowly missing Todd at last year’s Can-West urban forestry symposium in Abbotsford. I was able to at least send him a few questions which he generously answered. 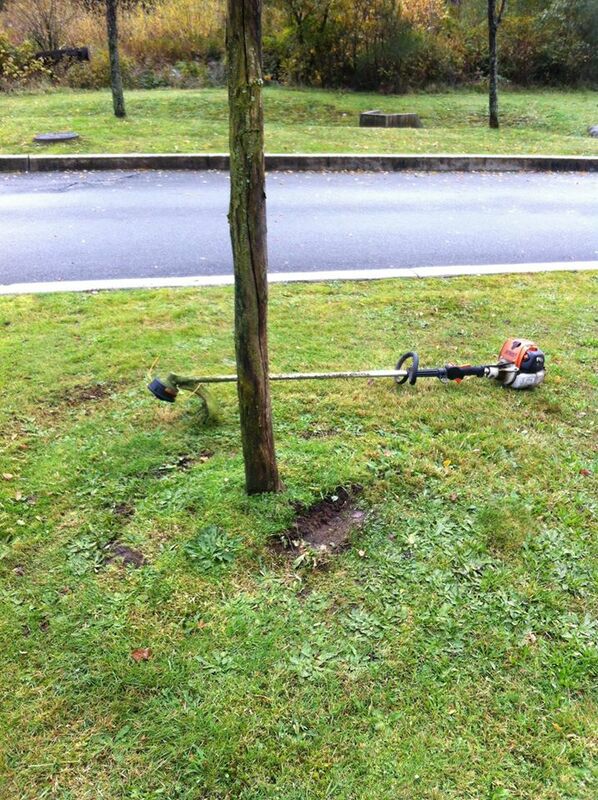 I believe every landscaper and green professional needs to have one experienced journeyman in his or her network. It turns out that my municipal boss from 2014 once apprenticed under Todd and she had lots of great stories to share. Enjoy. Vas: I know you are an experienced journeyman, teacher and North Shore News writer. Can you briefly tell us about yourself? Todd: I have worked within many specific fields in horticulture over my 28 year career. I started out as a landscape builder on large townhouses and apartment projects installing all hardscape and softscape features. I was a certified climbing arborist but left that work because it involved killing more trees than saving trees. I worked as a grower of ornamental and food crops in glass greenhouses, polyhouses and on a small farm. I was the Garden Director of the Park and Tilford Gardens in North Vancouver where we developed and maintained the 3 acre botanical garden with its six distinct theme gardens, two greenhouses and the commercial landscape of the Park and Tilford Shopping Centre. At Park and Tilford along with my administrative and business responsibilities, I was also the chief field instructor for students from Capilano College whom trained with us to learn practical horticulture skills. For a short time I was associate editor of Landscape and Groundskeeping magazine and for several years I was the editor of the Vancouver Rhododendron Society newsletter called “Indumentum”. 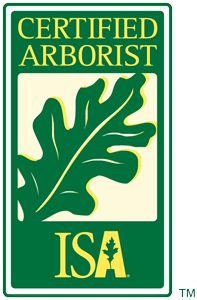 I am the co-creator and former chief instructor of the Horticulture Training Program at the University of British Columbia Botanical Garden and Centre for Plant Research. 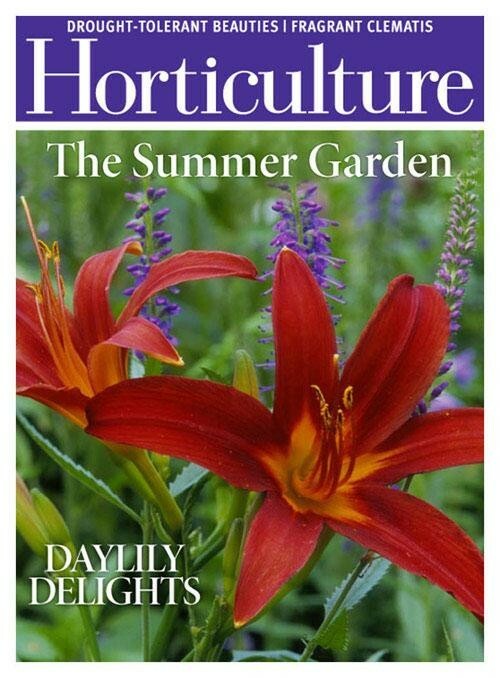 I was the gardening columnist for “Dig Deep” in the North Shore News for 11 years but I left that job in December 2015. I worked as the Manager of Parks Planning and Design for the City of Port Coquitlam where I co-designed and project managed the RailSide Skatepark, park upgrading, drainage, road construction, sport field construction and project management of the Gates Fieldhouse building among other projects. Throughout many of those years I have run my own landscape design and construction business creating sustainable outdoor living spaces for residential clients. I have also been a curriculum expert, contributing content writer and chair of the provincial Trade Advisory Committee for practical horticulture apprenticeship in British Columbia. I could go on but that’s probably enough. Vas: One of my former municipal bosses apprenticed under you at the Park and Tilford Gardens and she told me many great stories. Are you still teaching and sharing your knowledge? Todd: Not as much as I would like to but I am currently looking for opportunities to write, teach and mentor horticulturists, gardeners and the general public. Whether that be writing for a magazine, organization, company, blog or website. Or hands on working and teaching. Vas: What projects did you work on in 2015? A fair bit of consulting for property management companies writing landscape specifications and doing contract supervision and landscape inspection. 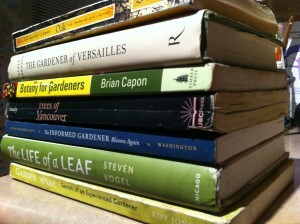 I wrote and revised several learning guides for HortBC which oversees the provincial horticulture apprenticeship in B.C. I built several interesting gardens for residential clients. I am also mentoring a few of people on an informal basis so I have consulted, advised and worked on some of their projects this year. 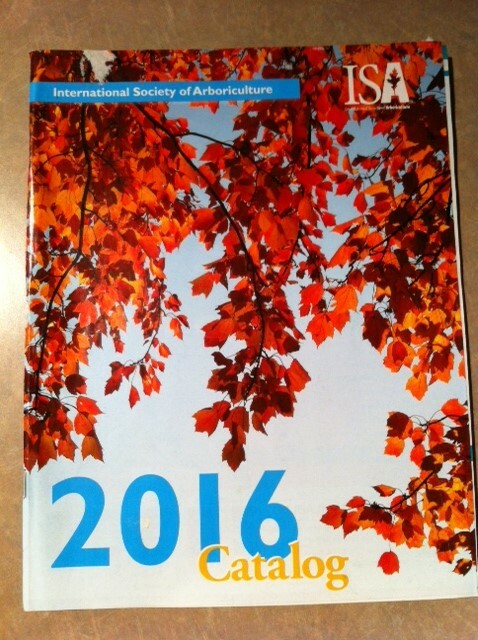 Vas: I’m still upset about narrowly missing you at the 2015 Can-West Hort Show in Abbotsford. What does a journeyman do to stay current in his field? Todd: Acquire information from wide and far and as many sources as possible. Not everything is on the internet – you have to get out there and see it and live it. Journeyman should also visit trade shows, go on field trips or garden tours with colleagues to see what is happening in the world. As well, everyone should take on projects that stretch their abilities – so they can grow intellectually. Vas: What advice would you give to a new landscape company employee starting out in 2016 and facing miles of lawn mowing? Find another job. Or risk losing your intellect, motivation and your soul. 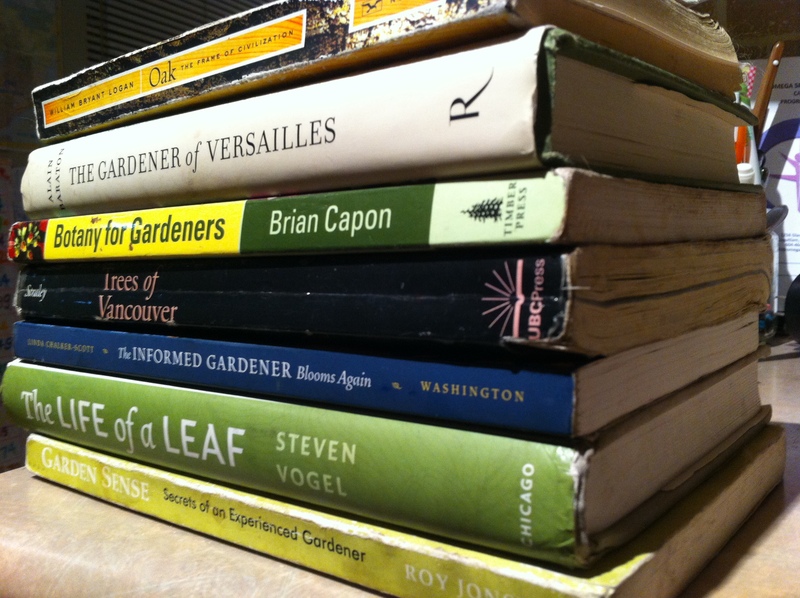 Vas: What three green books and periodicals stand out as must-read? Todd: Anything by Michael Pollan on growing healthy food. There’s a lot of stuff out there to read but much of it is below my level or someone is trying to sell something, so finding captivating information is hard for me. I search for information from universities focused on horticultural research, global info organizations and non-governmental organizations focused on affecting change. Two good examples are www.panna.org, and www.gmofreeusa.org. For plant identification a good site is www.oregonstate.edu/dept/ldplants I also regularly read news and updates from 70 plus websites, Facebook and blogs concerned with gardening, the environment and growing healthy food. 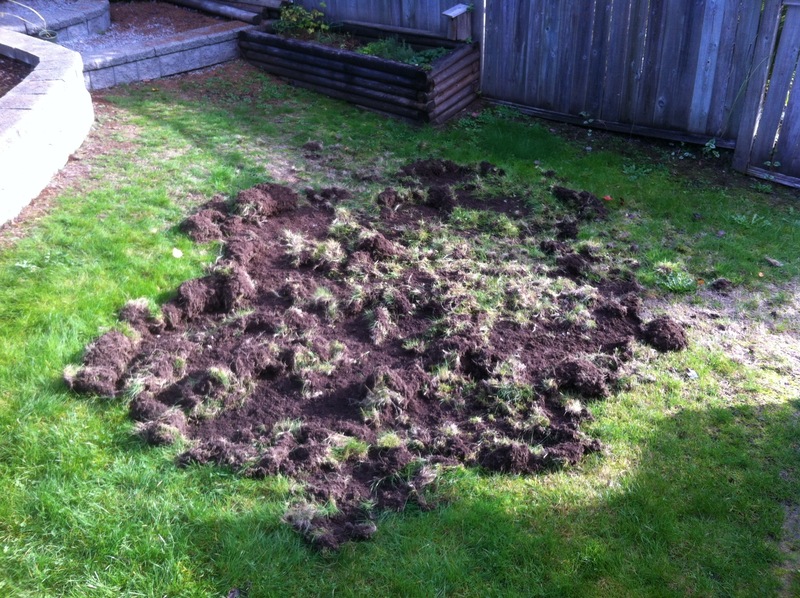 Vas: Imagine your front lawn is a disaster thanks to European chafer beetles. What would you do with it? Todd: Rototil the entire lawn into the soil as a green manure. Then replant new shrub beds and install walkways, patios, trees with groundcover, veggie gardens or anything that suits the client’s lifestyle. But I would not replant the resource sucking lawn monster. Lawn is a cultural norm of the last century during our age of innocence. Lawns no longer fit the new environmental and social awareness realities of this century. Most of my clients simply do not want to spend time or money maintaining a lawn can’t be watered during water restrictions or may be re-infected by chafers. Vas: What shifts do you see happening if our summers stay hot and dry? Todd: More low flow or drip irrigation systems are being installed as clients try to adapt. A greater focus on drought tolerant plants is somewhat misguided in our climate where we receive abundant rainfall during winter which rots out many drought tolerant plants such as Festuca species. More people are realizing that mulching is an efficient and cost effective method to reduce drought stress. And most importantly, always dig deep to enrich and amend the soil before planting. Vas: What are some of the most pressing issues facing horticulture today? Todd: I think as many other people do, that society’s heavy reliance on pesticides in horticulture, gardening and agriculture is causing problems in our environment and with our children’s health. We are not being told the truth about the long term negative affects of poisonous pesticides, especially where children are concerned. Take for example the fact that pesticide residue rates and application rates are set for adult body weights using LD50 and LC50 rates. If an adult weighs 72 kilograms (160 pounds) and the exposure rate is set for the adult weight, a child who weighs half or less of an adult will receive twice the dose if exposed to pesticide residue on food or in the garden. And children have development tissue and organs making them far more susceptible to pesticide exposure. Not to mention that consumption of pesticides in the world is now being measured by the millions of metric tonnes. (One tonne of pesticide = 2200 pounds = thousands of Big-Ag profit dollars). Among the many other issues facing horticulture toady, employee recruitment and retention has become very important. Low wages in the industry, difficult working conditions and intense competition have made finding and keeping employees difficult for landscape business owners. Another facet of the problem is that even a waitress can make more money than a landscape labourer. And the waitress gets to work indoors in nice surroundings. Fewer and fewer young people want to work in the “dirt” digging or carrying heavy materials all day, especially when there are high paying jobs in the technology sector. In other trades like plumbing, electrical, welding and pipefitting wages start at $25-$30 per hour, compared to $15-$18 for starting wages in landscaping. As another example, nowadays people can earn $30,000-$100,000 or more, just by starting and monetizing a website or YouTube channel while they sit in their pajamas creating and uploading content. Vas: Do you have any plans to collect your North Shore News articles into an eBook? Todd: I am writing a book on pruning and have plans for other books in the series. But finding time to write is difficult. And with the large amount of gardening chatter on the internet, often from people who are not trained or experienced in horticulture but have a million followers, I doubt whether my book(s) will ever be seen or read amongst the noise. Vas: Can I become a rich employee or is starting my own company inevitable? Todd: Being “rich” is a cultural notion applied to monetary gain only. While money is important, life is about more than just money. For some people having a steady job with benefits is enough. For others, pursuit of more and more money is the only thing that motivates them regardless of whether or not they like the work or the people. Some of my friends have stayed in reasonably good paying jobs because there’s security but they don’t necessarily love or even like the work. At the CanWest show in September 2015 I attended a lecture on pests and disease of British Columbia given by a reputable tree company. During the lecture I watched as a municipal employee from Coquitlam sat scrolling though her smart phone for the entire presentation on some website or Facebook perhaps. She made no notes and learned nothing. I thought why did you waste your employer’s time and money? What did you learn? Nothing is the answer because she is simply punching the clock and stealing a paycheck. I was very offended by her actions and went over to tell her so at the end of the lecture. In comparison to their parents of the last century, Millennials of this century have pioneered the concept of creating and working at a job they love and, working with friends or people they really get along with. The synergy of working with like-minded people doing something you love produces high quality outcomes. By comparison, showing up everyday to just to punch the clock for paycheck seems like a waste of time and potential.